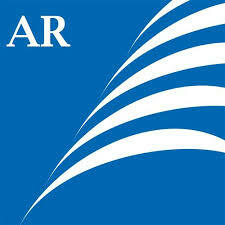 At Riverside we want to show learning skills in all we do. 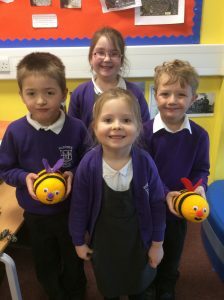 To help us we have our 5 Bees who buzz around the school and remind us of key things we need to do. If we demonstrate one of our learning bees we can get stickers, pencils, certificates and more! 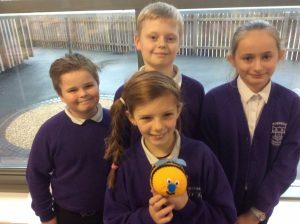 If our class all show a bee we can win one of them to help us in class. Below are some of our Bee winners. 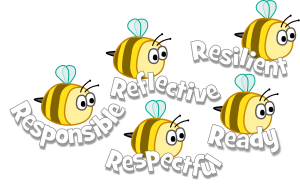 Why not look at the documents below to find out how we can demonstrate ‘Bee Behaviour’ in school.